FAQs / How often can my child use ZoomChess? As often as they like. The lessons are colorful, kid-friendly animations, and short enough for kids to enjoy on their own. For best results, we recommend using ZoomChess each day and develop consistency. Just like learning a musical instrument or sports, playing well depends on focused practice. 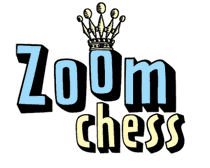 ZoomChess is an ideal at-home practice environment.